Going to school - over 120 years ago ! 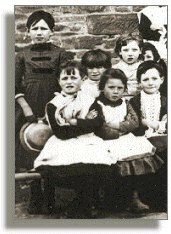 These pages help to show what it was like to be at school in the later years of Queen Victoria's reign. They use entries from the official Log Books or diaries of local schools, which can often tell us about life in the whole community and not just the school itself. Gone to the dogs - and elephants !